Is there something you want and just can't seem to find it easily? This thread our best attempt at pooling requests for such items. Simply name anything related to Mechanical Keyboards (boards, caps, frames, etc.) that you want (be specific) and we'll do our very best to get it. Please be as detailed as possible regarding the item(s) you wish to get (description, part number, link, and or manufacturer). This will assist with being able to ascertain information on the obtainable. ***Important note: We will try to comb through the pages and pages of the v2.0 thread and post item statuses below. Eventually, we will group items that we have already attempted to get but cannot obtain for one reason or another. Silent Black (Linea) Cherry MX - Availability? Gateron Clear Tactile Switches - Availability? Any line on white FC750s? Preferably with MX Blacks? Do you guys have filco or varmilo TKLs somewhere that search isn't finding them? I remember hearing a while back that you were getting some, but I can't seem to find any on your website. Filco's are an impossibility. As for Varmilos, we are working on it. Updating OP to show it. +1 Would really like to get a white FC750R with MX-Blues. Also, any word on those ABS Filco cases yet (preferably in off-white/beige)? As for Varmilos, we are working on it. Updating OP to show it. You haven't got a timeframe on those though, do you? Easy cowboy. Don't we all! We are placing an order for more Leopolds soon, so we hope to have them available soon. We are still working on this...updating OP. 6.5u Spacebar in multiple colors please. Regarding Varmilos the VB660M would be really intereting - if it is not completely abandoned! 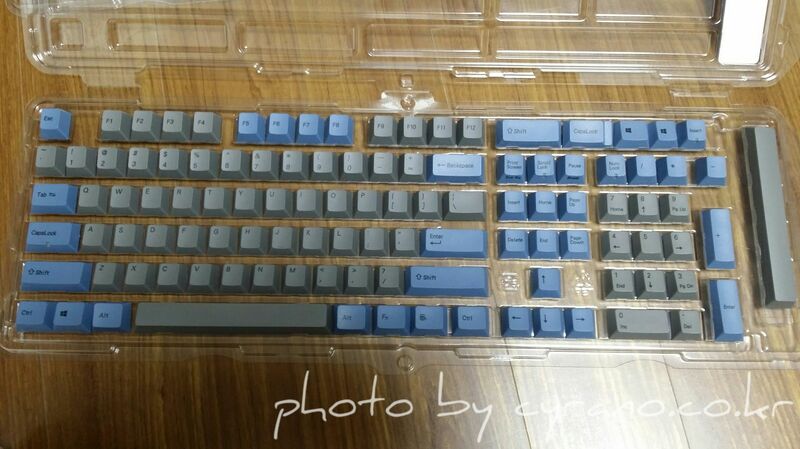 Like those "enjoypbt" sold on taobao that no one is selling on the west. Any and all Varmilos are on the docket to source as referenced in the OP Item Tracker. So, any chance of stainless steel phantom plates? I tend to like them better than aluminum, but either way count me interested for an ANSI150 one. Any explanation as to why this is? Suffice it to say that in business, certain doors, when opened, can cause others to close. Filco is just one such door that is currently closed to us. We hope that maybe one day it will open...but for now we cannot carry their products. I put it in the item tracker so that people can see it is not worth asking about to see if we can, since it is plain that we cannot. Thanks for the explanation. That all makes sense. Edit: OP edited to show that we are 'Unable to Carry' Filcos. All related quotes have been edited to show the same verbiage. As I have looked at the phrase 'Will Not Carry' it sounds harsher than reality. To everyone: we would love to carry Filco, we just can't at the present time. How about some RC930-87 55g? Added to Item Tracker, thanks! One last thing Hot Key Topre caps to go with the FC660Cs/type heavens you sale. Ah yes, the white Leopold FC750R! Actually came here to ask about that in particular as well Nice to see some like-minded folks about this already. At least I can see that there is a lot of incoming Leopold stock though, especially excited to see the white FC660C Topre! With you guys carrying Leopold now, any chance of getting the PBT Dyesub sets coming out in the future and the previous blank sets? Any kind of 'normal' mechanical key keyboard - that does not use multi-endpoint reports. e.g. 6-key roll over or better: the USB compliant long reports that are N-Key capable. There are TOO MANY hacky keyboards that don't quite register right on all O/S (and have mystery glitches even when they DO!). We have the Vortex ONE with Orange LED's...what switch type would you like? Would the KC60 that dropped on Massdrop a while back be a possibility? Ah - certainly but there is always a catch; It isn't a black case / MX Browns, and does Vortex have non junk firmware? Not sure on that one...we will look into it. Will you guys be able to get the new Cherry MX linear RGB white switches? Yes, singles. Any time frame on when you think you'll be able to get those? I'd love to get some for a future project. You guy should stock gateron dyesubs. Reality, but we have no idea when they will be ready. It's actively in the works. Getting colors, pricing, and lead time ironed out now. Should know more tomorrow or Friday. Yay Been waiting for these for a while.